Philips Healthcare has received the prestigious Frost & Sullivan 2013 India Healthcare Excellence Award for the Imaging Company of the year 2013. Krishna Kumar, President, Philips Healthcare India was presented the award at a ceremony held in Mumbai today. The coveted Frost & Sullivan India Healthcare Excellence Awards are presented to companies that demonstrate best practices in the Indian Healthcare and Life sciences industry. The awards program follows a rigorous methodology to recognize superior planning and execution of product launches, strategic alliances, distribution strategies, technological innovations, customer services, healthcare delivery services, and mergers and acquisitions. A host of other crucial factors such as leadership, strategy, growth, service, innovation, integration, marketing, financial performance, and development are also considered as part of the award methodology. Jayant Singh, Associate Director, Pharma and Medical Technology, Healthcare Practice, Frost & Sullivan said "Focus on innovation, quality, and reliability makes Philips the most trusted and a dependable partner of choice for its customers. Unique financing schemes, a comprehensive range of solutions, focus on training, after sales backed by an excellent customer support network reinforced the perception of the company in the eyes of the customer”. Philips is currently the market leader in healthcare and is present across 5 categories – Radiology, Cardiology, Oncology, Respiratory Care and Critical Care. Together with its R&D hub, called the Philips Innovation Centre based in Bangalore, the company has been at the forefront of innovation in healthcare, with more than 33 new innovative products being launched recently. 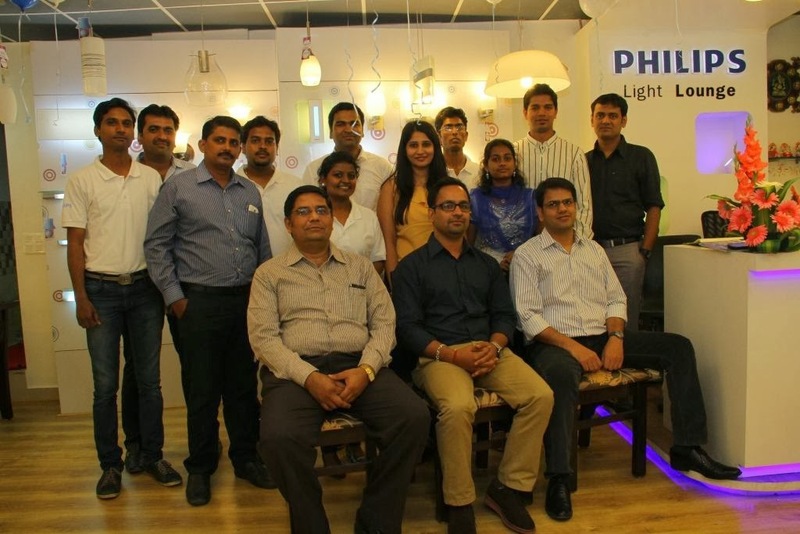 Philips Lighting India, the country’s leading provider of lighting solutions, unveiled its latest offering, the fourth ‘Philips Light Lounge’ spread across the area of 2000 sqft at Jayanagar in Bangalore. Philips Light Lounge is an experience zone which gives customers a ‘see, touch and feel’ experience of a diverse range of world-class home decorative lighting concepts from Philips like MyLiving, Essential, Lumiware accessories and desk lights in addition to the newly launched chic & stylish LED range for the upcoming festival season. Philips is buoyant about its plans to consolidate its retail presence in Karnataka and South India by opening more Light Lounges and Light Shoppes (Shop-in-shops) by the end of this year. With the launch of the newest Philips Light Lounge in Bangalore, the company now has 87 Light Lounges in India, in addition to 1050 Light Shoppes in the country. A home is a reflection of one’s personality, tastes and preferences and lighting can make a huge difference to the look and feel of the house. The Philips Home Decorative Lighting range is a unique offering in the market to cater to the evolving lifestyle needs of global Indians. 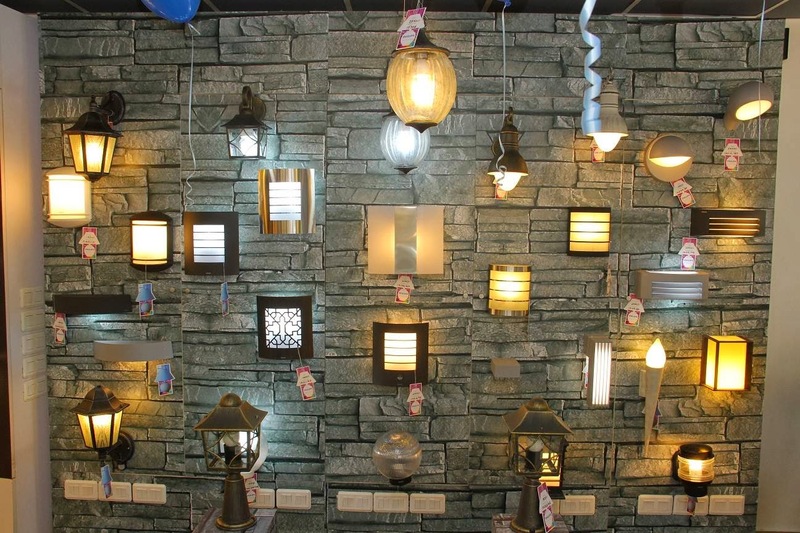 The market for decorative lighting is currently inundated with unbranded cheap imports that do not always satisfy energy efficiency and safety norms. 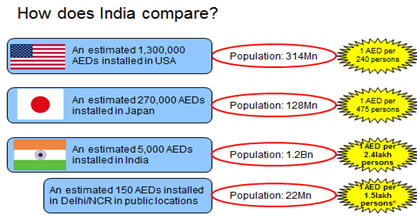 Philips differentiates its offerings through innovation in design, energy efficiency and application of its global lighting application expertise. The product range starts from a price of Rs 575 and extends up to Rs 60,000. Each Philips Light Lounge will showcase lighting solutions for every application and space within a home, including the living room, bedroom, study, dining rooms, kitchen and bathroom. At the Philips Light Lounge, consumers will receive expert advice in choosing the right lighting design solutions to meet their unique requirements. The new Philips Light Lounge is located at Priority Concepts, 9th Block, Jayanagar, Bangalore. In an initiative to spread awareness on managing Sudden Cardiac Arrests (SCA) and thereby saving lives, a detailed demonstration of the Automated External Defibrillator was organized at the Philips Innovation Campus.The initiative was part of “World Heart Day” that is being celebrated on September 29. A portable device, AEDs can be used to provide defibrillation to save the life of a person who has suffered from a Sudden Cardiac Arrest. As AEDs come with audio and visual instructions, they can be used by anyone to save a life with the push of a button.The AED analyses the heart rhythm of an individual and on detecting an abnormal rhythm, charges and instructs the user to push the shock button. They are completely safe and there is no risk of injury from an electrical shock. To demonstrate the usage of AEDs Philips invited Dr. Mabel Vasanaik, Consultant and Head – Adult Emergency Department, Manipal Hospitals to its campus in Manyata Tech Park. Dr Vasanaik addressed the attendees on Sudden Cardiac Arrests and the role of an AED in managing them before actually demonstrating the usage of an AED. Following the demonstration, Dr Vasanaik addressed queries from the attendees on AEDs, why they are critical and how they should be used to save lives. “There have been many instances of deaths due to Sudden Cardiac Arrests (SCA) in Bangalore city and across the nation in the past year alone.Our ambition is to educate civilians on a simple procedure that would help you save another person’s life. Using an AED within the first three to five minutes of a collapse can literally be the difference between life and death for someone experiencing sudden cardiac arrest. With this initiative we would like to encourage government bodies and institutions to have the AED machines placed just like fire safety devices or first-aid kits” said Mr. Srikanth Muthya, Director, Patient Care & Clinical Informatics, Philips Healthcare, India. Recent cases of deaths by SCA in Bangalore city, such as that of 24 year old actor Hemanth or the 27 year old footballer Vankatesh is a clear indication that the youth is increasingly susceptible to this medical condition. Various factors such as family history of coronary artery disease, smoking, high blood pressure, high blood cholesterol, obesity, diabetes, a sedentary lifestyle etc are the primary causes for SCA. On the occasion of “World Heart Day” on September 29, 2013, it is time to introspect on taking it upon ourselves to building awareness of being part of a greater community that helps in saving lives. 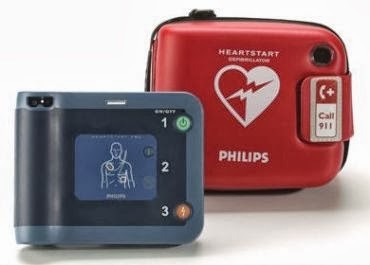 The Automated External defibrillator (AED) by PIC is a portable electronic device that automatically diagnoses the potentially life threatening cardiac arrhythmias of ventricular fibrillation and ventricular tachycardia in a patient, and is able to treat them through defibrillation, the application of electrical therapy which stops the arrhythmia, allowing the heart to reestablish an effective rhythm. With simple audio and visual commands, AEDs are designed to be simple to use for the layman, and the use of AEDs is taught in many first aid, first responder, and basic life support (BLS) level cardiopulmonary resuscitation (CPR) classes. SAP hosted the second edition of its youth focused event – SAP Techniversity at KTPO in Whitefield, Bangalore on September 28, 2013. The day-long event witnessed about 5624 students from 348 colleges across India to learn about the latest trends in technology and unwind though a variety of cultural performances. The technology focused sessions covered a broad range of topics such as ‘The power of SAP HANA’; ‘Massive Online Open Courses (MOOCs) and their impact on higher education’; ‘Megatrends shaping the world’; and ‘The future of mobility and cloud computing’. Besides this, students heard from speakers such as M N Vidyashankar, Principal Secretary Commerce and Industries Department, Government of Karnataka; Ravi Venkatesan, former Chairman of Microsoft India; eminent theatre personality, Boman Irani; India’s youngest CEOs, Shravan and Sanjay Kumaran; among others. “It is important for organizations today to play an active role in developing more readily employable talent. Through the engagements that SAP undertakes, students from across Karnataka are exposed to and educated on the latest trends and technologies that shape the IT industry in our State,” said M N Vidyashankar, Principal Secretary Commerce and Industries Department, Government of Karnataka. Additionally, SAP unveiled the Student Start-ups on SAP HANA program, aimed to foster a culture of innovation among engineering students. Through the program, SAP educates students on SAP HANA and supporting technologies, and mentors them through the prototype and development phase of their projects. This is in addition to SAP University Alliances (UA) which has already educated over 147,000 students from over 90 schools in India on SAP HANA. “Education is the key to innovation and social development,” said Ann Rosenberg, Global Head, SAP University Alliances, SAP AG. “SAP University Alliances helps to educate the talent of the future by empowering students to better prepare for a successful career path within the vibrant SAP ecosystem, be it at one of our customers or partners or at SAP itself. In addition, we are responsible for building and driving the Channel for Innovation from the Universities to the SAP Ecosystem and build the new SAP Ecosystem – the talent of the future. We are passionate about early talent and their potential to contribute and extend the SAP innovation story. Students who get to know us better see SAP as cool a company as Google, Facebook, or Apple”. SAP University Alliances aims to build ‘The Future of Business Driven by SAP HANA Enterprise Cloud’ in which top universities, customers, partners together with SAP share innovations that form the future of business. With that goal in mind, a venture that SAP University Alliances and SAP Labs drive is SAP Osmosis which enables participating students to understand the latest technologies such as SAP HANA, mobility, Cloud, Big Data through knowledge sessions. In the recent past, SAP Osmosis has engaged with students from Tumkur University and National Institute of Engineering, Mysore. “SAP Labs India believes that through more interaction between the industry and academia, the skill gap that exists can be significantly reduced. Through initiatives such as SAP Techniversity, Student Start-ups on SAP HANA program, SAP Osmosis and others, we want to expose students and academic bodies to the latest trends the industry so that students can better prepare themselves for the corporate world,” said Anirban Dey, Managing Director, SAP Labs India.